Come Reason Ministries hasn't added a story. The Apostle Paul admonished Timothy, telling him to "train yourself for godliness; for while bodily training is of some value, godliness is of value in every way." (1 Tim 4:7-8a). I want to leverage the benefits of physical training to help train young Christians in Godliness. On August 18, I've pledged to bicycle 200 kilometers--125 miles--in one day. I'll be riding from Ventura to Ojai, then to Santa Barbara, and back down to Ventura all in one day! It's a massive ride with climbing over 6,500 feet of elevation. You can see the course map here. My goal is to raise $2000 for our efforts at Come Reason Ministries to help train students and other Christians how to better defend their faith. That's $10 for every kilometer on the ride. I've been receiving requests for more materials and more videos to use with youth groups and I want to get those made, but I need your help to do it. Will you consider sponsoring my ride? There are many different ways you can help. You can pledge to give $1 per mile or $1 per kilometer. You can provide a one-time gift. Whatever you choose, I know I will deeply appreciate the support for this ministry and the many thousands of people it serves each year. Help me meet my goal and blessing on you for your prayers and friendship. 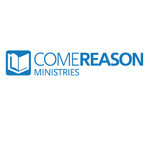 Come Reason Ministries hasn't posted any updates yet. Come Reason Ministries is managing the funds for this campaign.